In our age of ubiquitous computerization skills confident user of office packages is rather not a luxury but a necessity. The volume of information to process is growing every day, and a simple calculator won't do it. Using software such as Excel we will be able to process arbitrarily large volumes of tabular data. Consider the operation of division by means of Excel (including mass). all operations performed in Excel are produced on these cells. the coordinates of the cells are of the form: <letter><digit>, where <letter> is the letter of a column matrix, and <digit> - symbol row of the matrix (eg. A1). Suppose we have two columns of numbers that need to be divided. Start to learn how to divide one cell into another. Left-click on the cell in which you want to record the result of the division. Next, click with the left mouse button on the row for writing formulas. In the highlighted row first of all write the character "=" . Then with the left mouse button we click on the cell that will participate in the division. In the end cell of the result is assigned the value of the cell is chosen for division. Next in the line write after the value of the first cell (in our case A1), put a division sign ( / ). However, it is possible to put not only the division, but also any other arithmetic operation. After the division sign, click the second cell (i.e. the one which will be division). You can repeat these steps indefinitely, forming a composite mathematical calculations. Not necessarily limited to two cells. You can also use brackets. After dialing the required formula press Enter, then the result cell will take the value obtained during the calculation formula. Now suppose we need to calculate for the entire table. 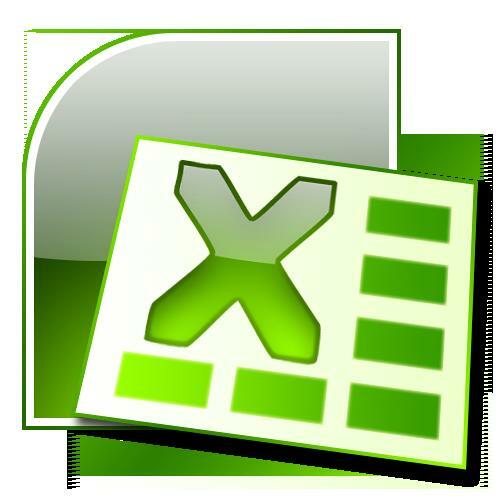 Excel tools allow us to write to each cell a new value, and calculate all at once. To do this, click with the left mouse button on the cell with the result. Next, move the cursor to the bottom right of the cell (the cursor should change its appearance with a white cross to a thin black). Hold down the left mouse button and "drag" the cursor to the bottom of the table, then release the button. In the end, we crafted an entire plate, write the formula only once.